Following the release of her new video 'Level Up', Ciara made her way to the red carpet for the 2018 ESPY Awards at the Microsoft Theater yesterday evening(July 18th) in LA. 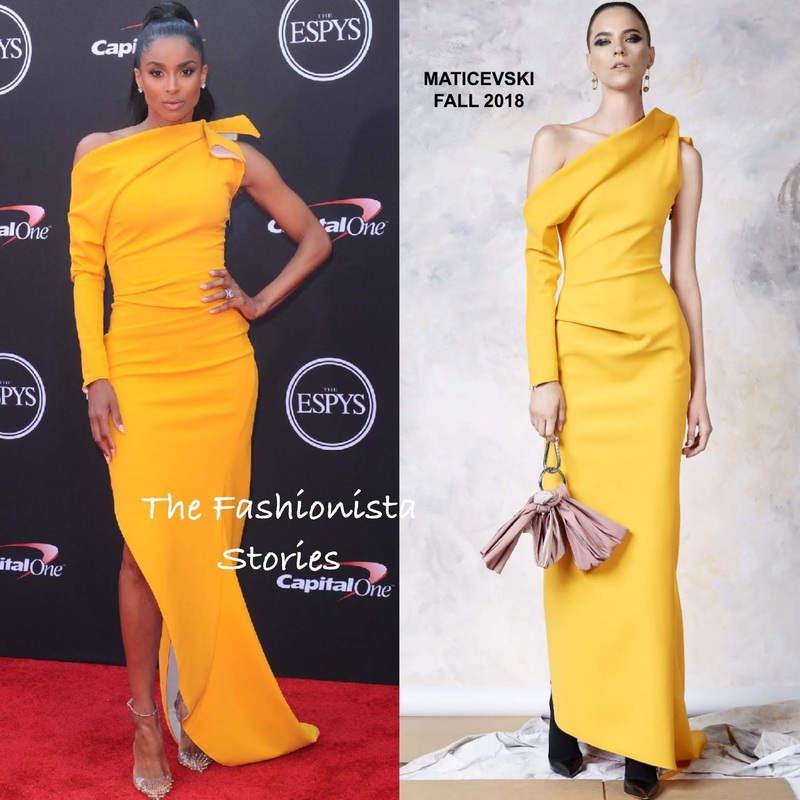 Ciara who presented at the awards, could not be missed on the red carpet wearing a vibrant yellow MATICEVSKI FALL 2018 dress which featured an asymmetrical neckline, contrasting white underlining, one long sleeve and a asymmetrical split that flowed into a side, floor sweeping train. This sultry piece is definitely up Cici's style alley and while the creases are not a factor, she looks beautiful in this color & dress. She finished up with a ponytail, diamond studs and CHRISTIAN LOUBOUTIN ankle strap pumps. What do you think of Cici's look?